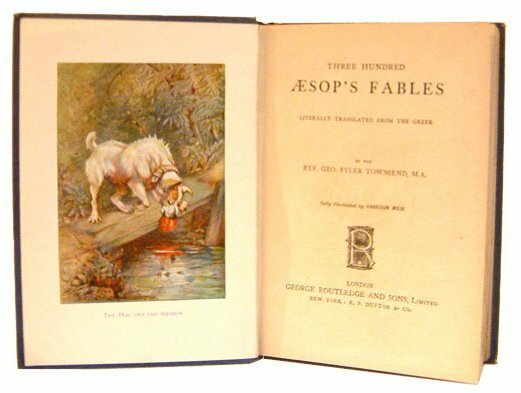 The Dog and the Bone is a fable ascribed to Aesop. According to the story, a dog was carrying a bone over a bridge. Looking down into the water, the dog saw its own reflection, which looked to him like another dog carrying another bone. Wanting the other dog’s bone as well as his own, the dog opened his mouth to bark at the “other” dog it saw, but in doing so, the dog dropped his own bone into the river, where it was gone for good. The sad, hungry dog learned the hard lesson that, by being greedy, one risks what one already has.